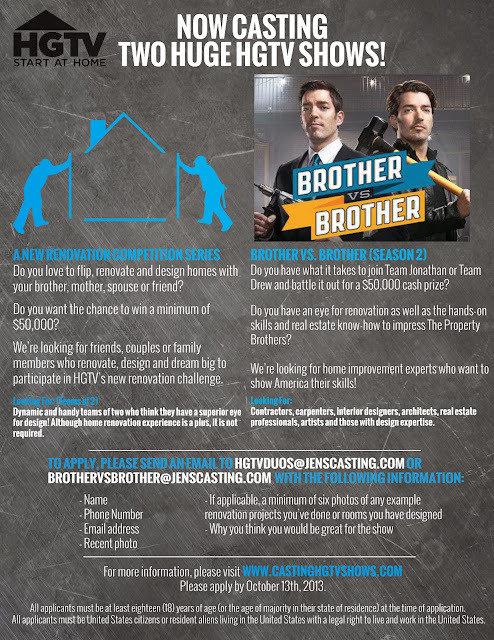 Modsters, HGTV is looking for new reality stars and casting for two shows: the second season of Brother vs Brother, a competitive series featuring The Property Brothers and a brand new series called HGTV Renovation Competition Series. If I couldn't leave my life for a number of weeks, I would like to sign up! For Brother vs. Brother they are looking for: Passionate, charismatic individuals who have major hands-on skills, an eye for renovation and real estate know-how. (Contractors, carpenters, interior designers, architects, real estate professionals, artists and those with design expertise). 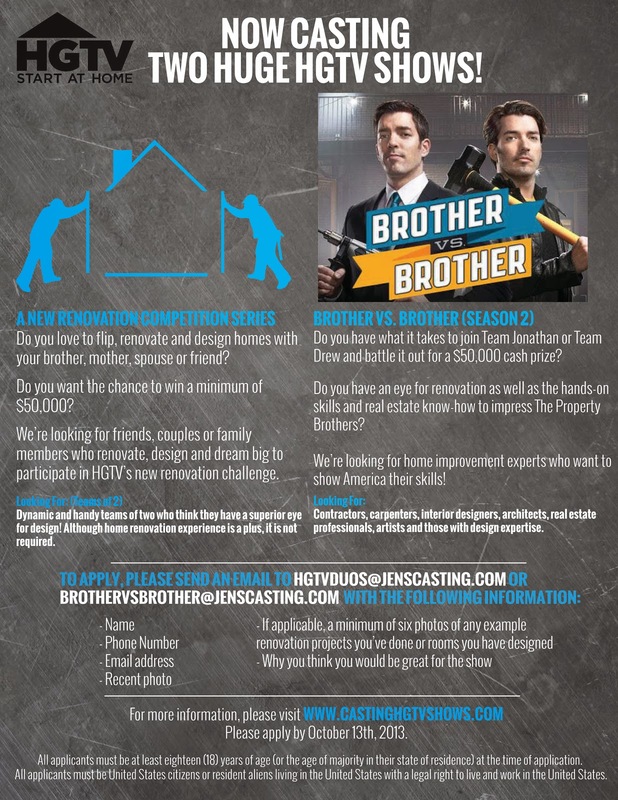 For the New Renovation Competition Series they are looking for: Dynamic friends, couples or family members with big dreams and a love for renovation and design. (Handy teams of two who think they have a superior eye for design. Although home renovation experience is a plus, it is not required). For more information, visit HERE! Good luck!